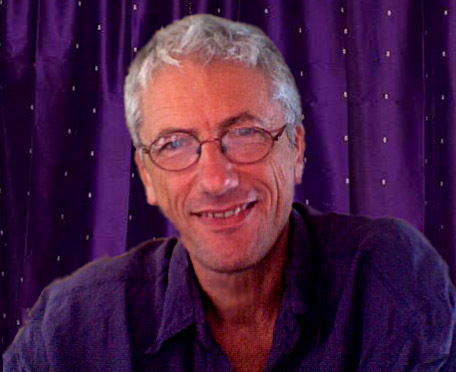 For most of his adult life Nevill has had an on going fascination with the effects of music and sound on the mind, body and spirit of the listener. This is best shown with his interests in Shamanism. Nevill was also intrigued by the use of music and sound to enhance modern mystical journeys. 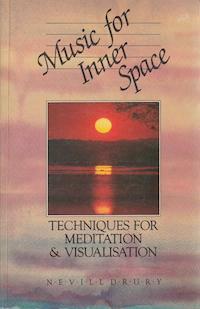 In his book Music for Inner Space, released in 1985, Nevill explored the ancient traditions of The Kabbalah, The Zodiac, The Tarot, The Egyptian Book of the Dead and Kundalini Yoga. At the end of each chapter he included guided visualisations to give the reader an experiential feeling for the essence of each tradition. He also listed recommended existing music tracks that could be played while taking each visionary journey. Nevill recognised that every piece of music can be categorised by one of the five elements - Earth, Water, Fire, Air, Spirit (or combination of elements) that can be correlated to the traditional elemental values associated with each tradition. For instance, in the Tarot, The Moon card is a 'water' element card and the visualisations on this card can be supported by using selections of music that evoke the feeling of water. After finishing the book Nevill made contact with Australian ambient music composer Japetus who he recognised could actually create specialised music and atmospheres to perfectly complement his guided visualisations. To that end Nevill commissioned Japetus to create a series of albums based on the visualisations that could be sold with the book, contracted to a German publisher - 1) The Kabbalah + The Zodiac, 2) The Tarot, 3) The Egyptian Book of the Dead + Kundalini Yoga. Some years later Japetus took this package to another level by actually speaking Nevill's visualisations from the book and recording them over the top of his original, commissioned music. The result was a powerful blend of imagery and sound now called The Mystic Pathways Series which has captured the energies of these ancient traditions as a modern, experiential meditation. Listen to the visualisations - in FULL. 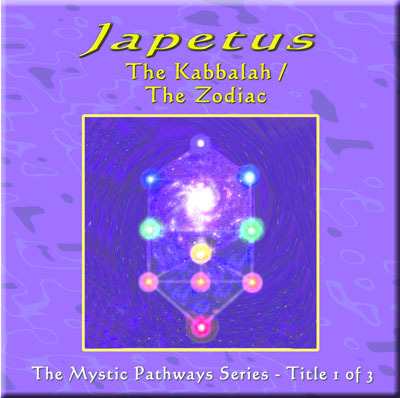 The Mystic Pathways Series comprises of three double albums. Each double album has music on the first album with no speaking and then that same music plus the spoken guided visualisation on the second album. 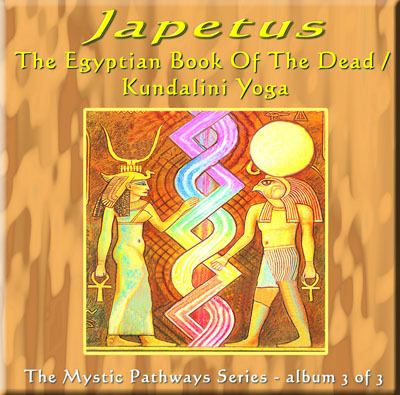 You can find out more about The Mystic Pathways Series and listen to audio samples on the Japetus website and they can be listened to and purchased for download on iTunes. 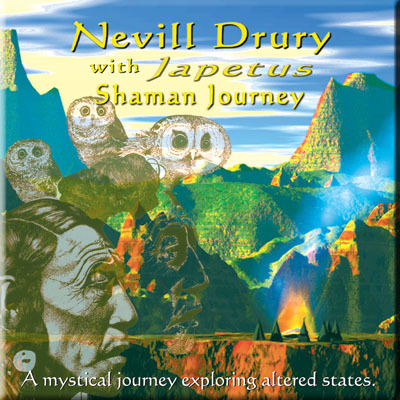 In 1989 Nevill once again worked with Japetus to create Shaman Journey. This album has Nevill playing the repetitive, hypnotic drum rhythms of the shaman in order to help the listener enter an altered state and pursue an inner journey to contact their totem animal. In the second half of the recording the drum rhythm is complemented by additional rhythms and atmosphere by Japetus to create the feeling of a shamanic gathering. 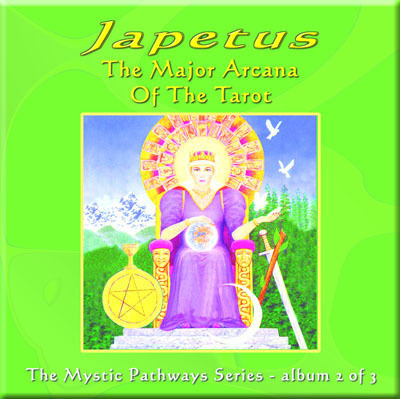 You can find out more about Shaman Journey on the Japetus website and they can be listened to and purchased for download on iTunes. Now available on CD - drop-shipped within two hours of your order here. All material created by Nevill Drury on this site is copyright protected and may not be reproduced in any way without written permission.